Join us to transform your dreams digitally!! A complete package to unleash distinguished experiences for Web & Mobile. We are committed to some exceptional services for customers. A team that will always fascinate you with their out of box thinking to provide you once in a lifetime designs, totally of their own starting from the scratch. When the world is moving with the flow of technology we ensure that you don’t lag. Come a step ahead with our trending & user friendly software solutions to grow business exponentially. We help smart phones make you smarter. Take your world in your pocket and enjoy the best rated applications designed & developed by our team so you could utilize your sources to optimum. 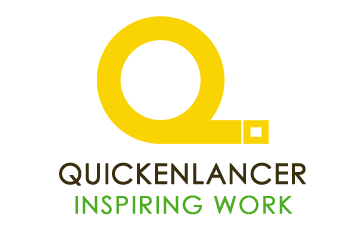 Quickenlancer a Quickensol's subsidiary is an online bidding platform, which has made us what we are today. We are fortunate to cherish the concept our team came up with and the efforts we all have taken day in and day out, backed it and made it a success. Today our database is filled with diverse IT Projects & Freelancers who are getting work here for FREE. Our adhesion to the values that totally devote our services & products to the customers has not only helped us build our portfolio but is also making us the first choice of the customers to redeem their requirements. We don’t want you to miss any opportunity to grow in any service or technology, so register and be updated. Just a glimpse of what we have stored for you. Aren’t they enough? The reflection of your work is seen by the response you get.Quickensol is proud to see it's impact in a global market. Serving the wide range of customers globally and satisfying them in their own ways is the most accepted challenge here. Below listed are some valuable range of projects delivered with utmost happiness. Kartzilla is online purchase stationary where customer can buy school stationary from the website. Blue Bay Water sports is a one of a kind sports and play zone in Pune.Blue Bay Water Sports includes kayaking, jet skiing, paddle boating, Pontoon Boat etc. Wedily Creations is the leading Event Management Company. They are Elite Wedding Planners with over 10 years of experience. PINK ORCHID Beauty & Wellness, offer a variety of Detox Body Spa and all Salon Treatments. We not only cater to the outer well being of an individual but also cater to the well-being of their inner-self through our Spiritual Spa Therapies. Mellowness is a concept of Beautiful flowers and brilliant decorating ideas all at one place. So we have helped them reach everywhere by designing the mobile application for Android and ios devices. Based in Nagpur our roots to the baking are back in 2011 and since our love for dough has turned into our passion. Nothing gives more happiness than being a part of people’s celebrations and this has led us to start some handmade cakes in 2015. Mesecure is one of the leading vendors in the sales, service and installation of CCTV Security Systems, Home/Office Automation & Security Products. SeekHelp is the one of the best Civil mediator platform in India. We provide the fastest communication system to the Customer with Contractor and Supplier. A world of art just painting their imagination to make world a colorful place.A quest to turn homes, offices and cities beautiful. Rozzgar.Com is a novel concept from the house of Midas Consultancy, which excels in the field HR and Real Estate around Thane and Mumbai. Excellent, working with Quickensol was a very good experience.Thanks to their knowledge and determination my website looks great and functions really well. They went above and beyond to make sure website looks exactly what I had envisioned. I would definitely recommend Quickensol to all those looking for website development at reasonable quote. Overall pleased with the Quickensol team. We have worked with Quickensol Team on several different projects varying from long term general support to specific complex implementations. Great insight, direction and innovation while delivering a high quality solution.The pricing model is fair and I would highly recommend Quickensol Team and will continue to work with them in the future. Quickensol team is creative and giving the multiple options for all solutions, I would like to highly recommend the Quickensol. Best service and on time delivery process. Qickensol team has worked hard to develop The Womenz. The team understands the needs quickly and act accordingly. Wish Qickensol all the best.